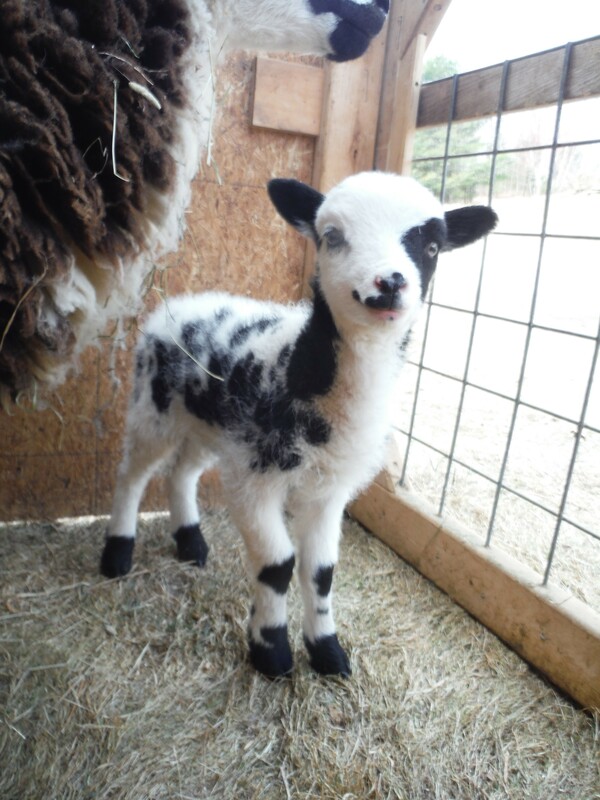 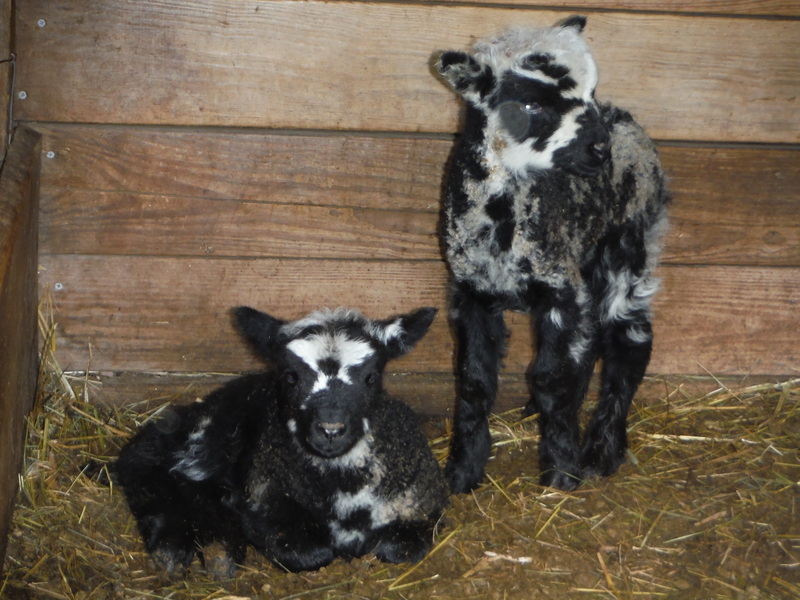 We have been busy with lambing and kidding season in the past month or so, with lots of new babies arriving! 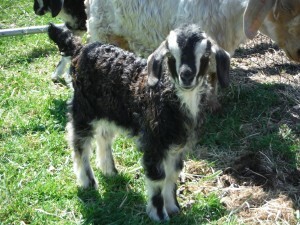 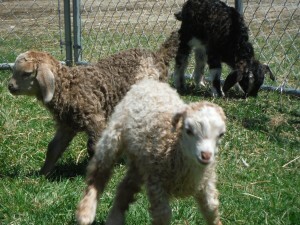 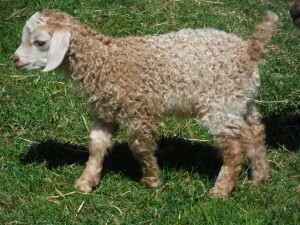 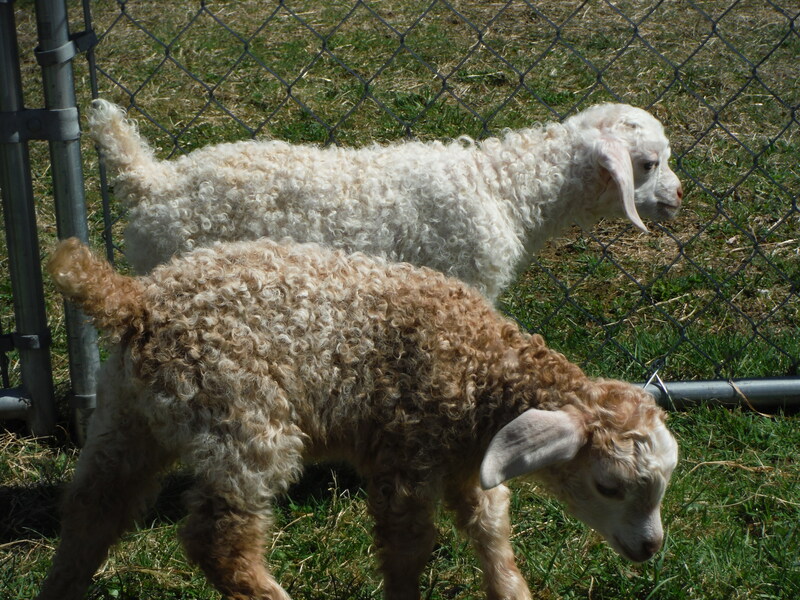 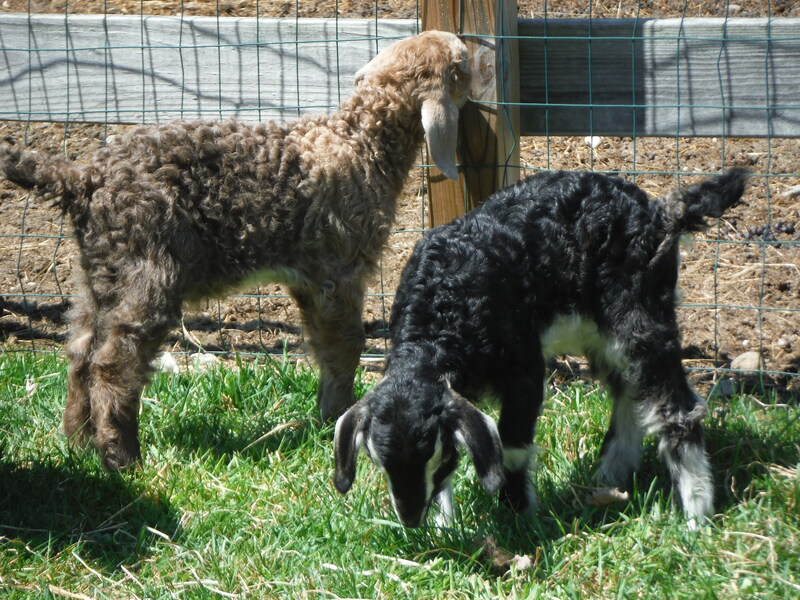 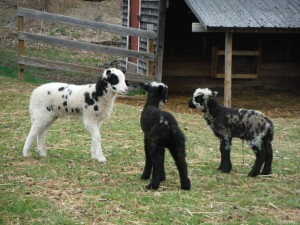 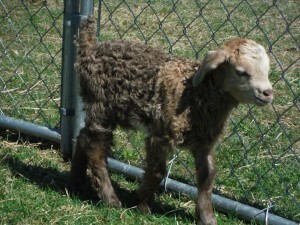 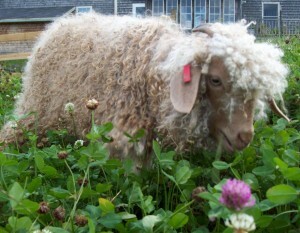 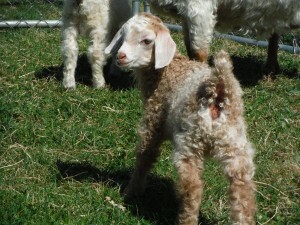 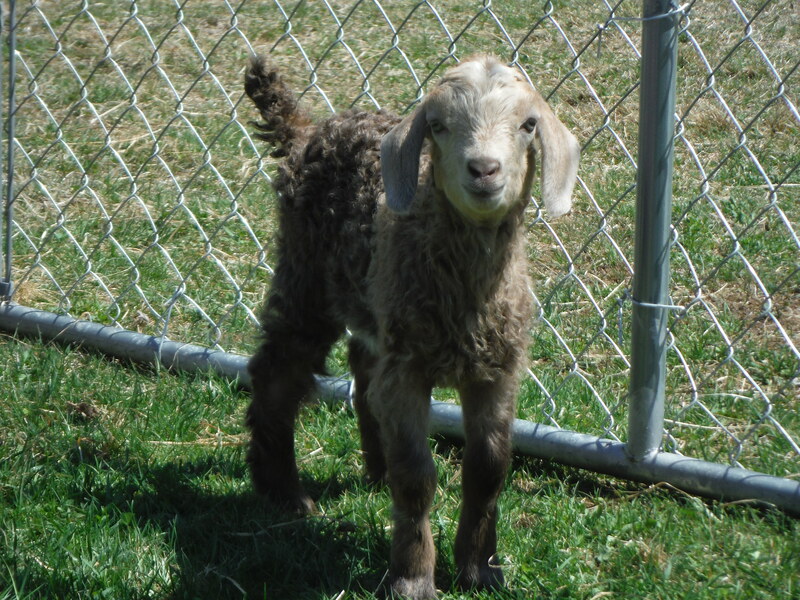 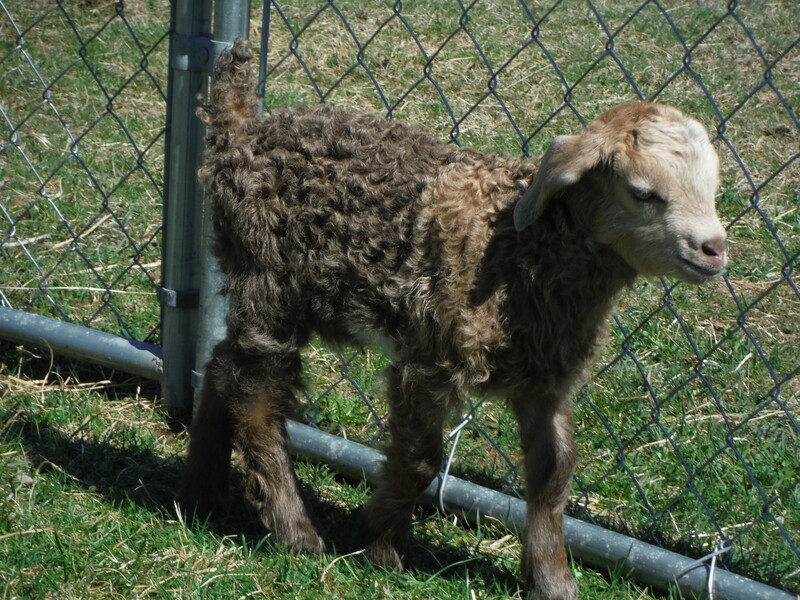 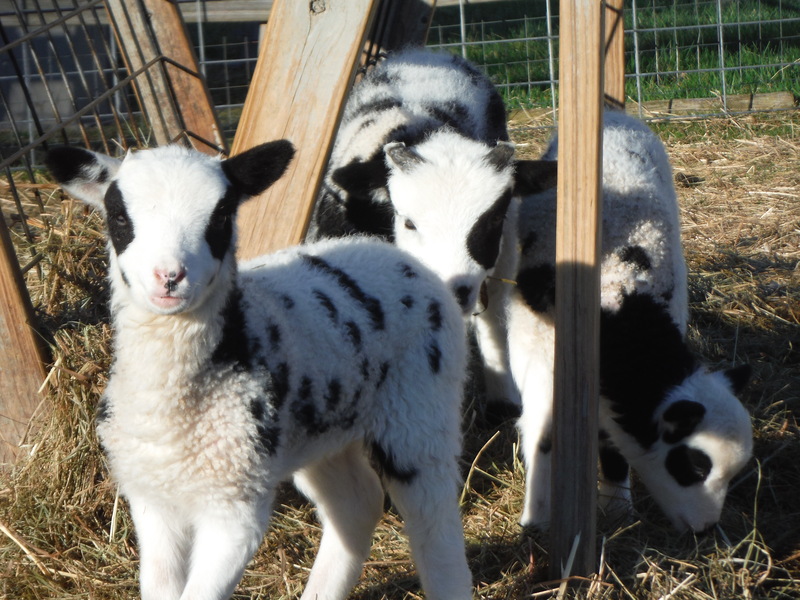 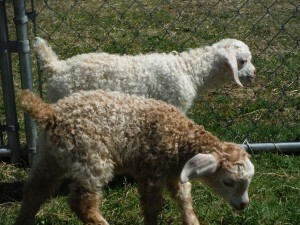 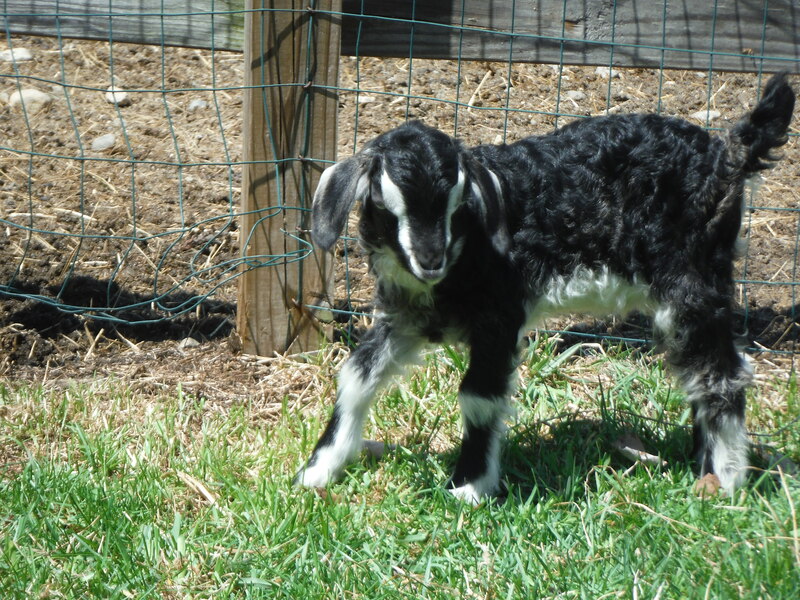 If you are interested in Jacob lambs or angora goat kids, please contact the farm for a sales list. 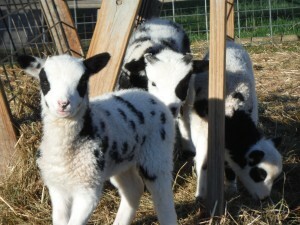 We also update pictures and sales on our facebook page, regularly, so be sure to visit us there, too! 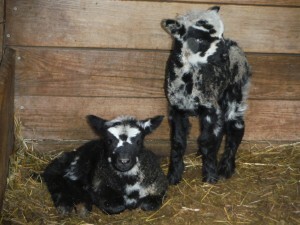 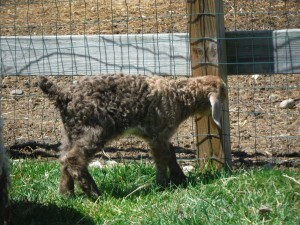 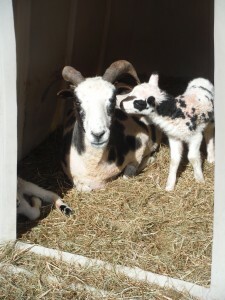 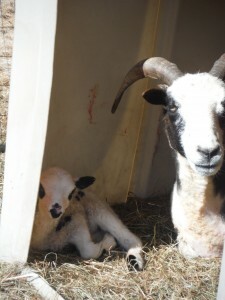 Our lambs are all sired by Spot Hollow Brock, a blue eyed lilac four horned ram. 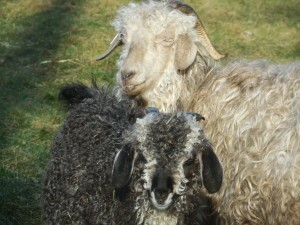 The lambs should all have gorgeous fleece, as our Jacobs are selected as a handspinner’s flock. 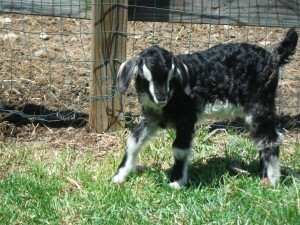 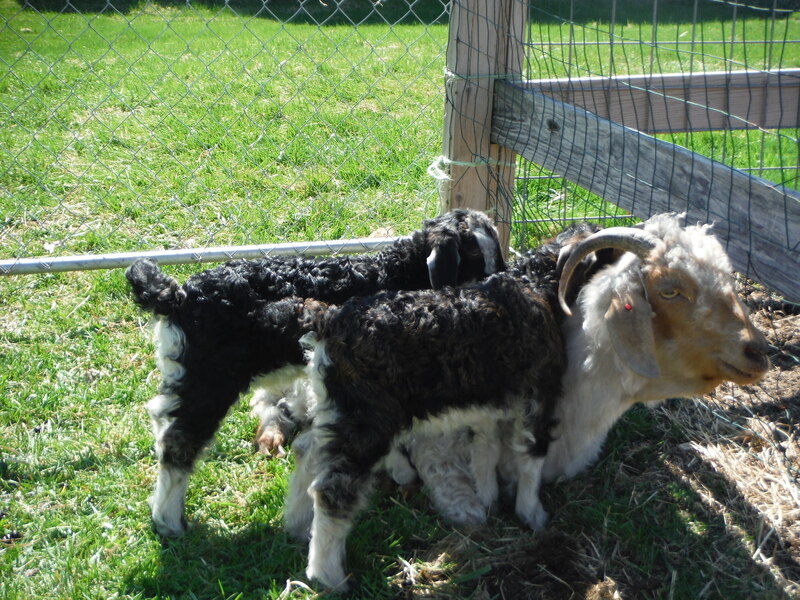 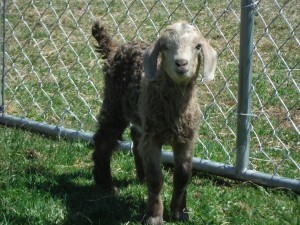 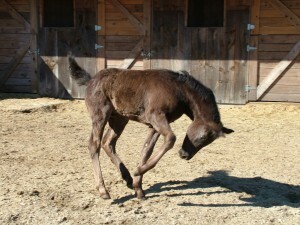 Bonnie’s brown red patterned buckling!